A simple bar for divers to retain their long hose without the need for a canister light. As more divers switch to hand-held rather than canister torches the need for a way to retain long hoses securely has risen. 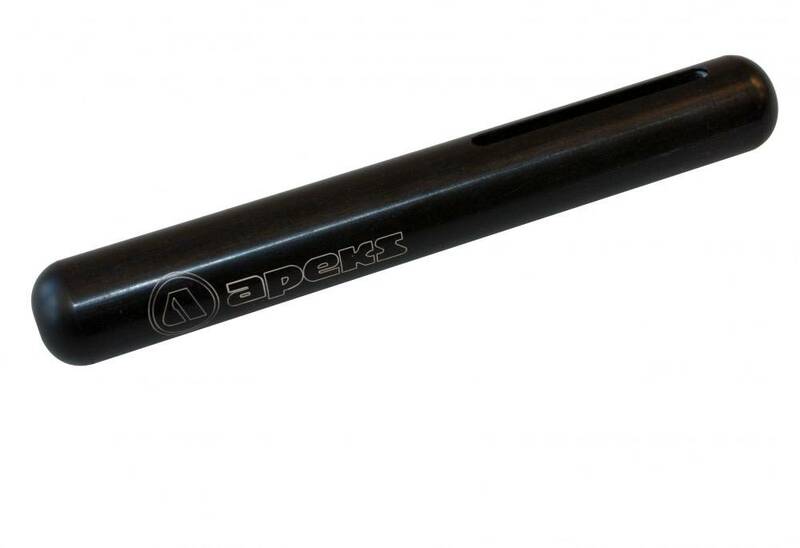 This simple Apeks hose retainer stows long hoses ensuring a comfortable and safe dive. Made from a single piece of Delrin, this is a sleek and durable retainer which fits any standard 2" webbing and can be used with single or twin tank configurations.